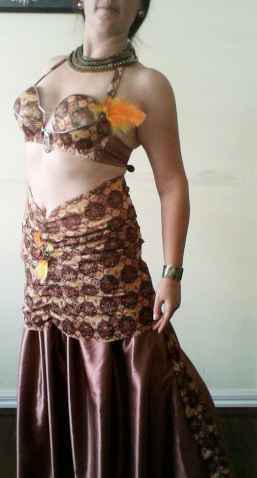 I’ve finished a rough costume to show Choreography class students who may be interested in performing. But when I came to buying fabric and sewing the costume it evolved to suit the fabric I found and the tidbits of jewellery I had around the house (not to mention feathers from my daughter’s craft drawers). I hoped that earthy tones might mimic a sepia tone photo to invoke the feeling of being in the past. and partly because I wanted veils/sashes attached to the small of the back like in Indonesian dance. 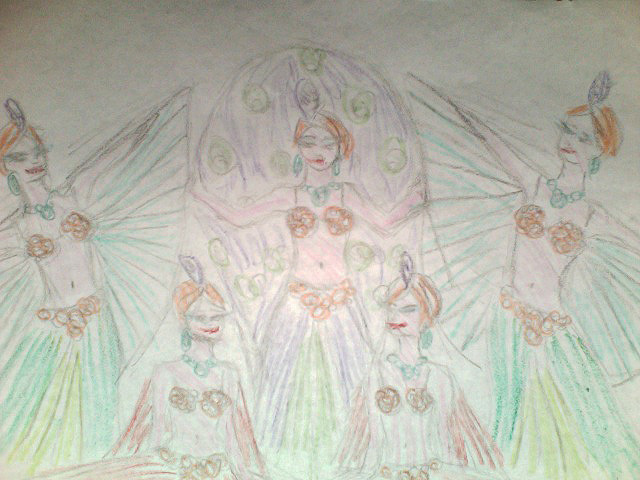 It fits into the design I have for the overall choreography, inspired by these initial meanderings into Isis wings, Persian peacock wings and Indonesian sashes that I was dubbing “Mata Hari Wings”. 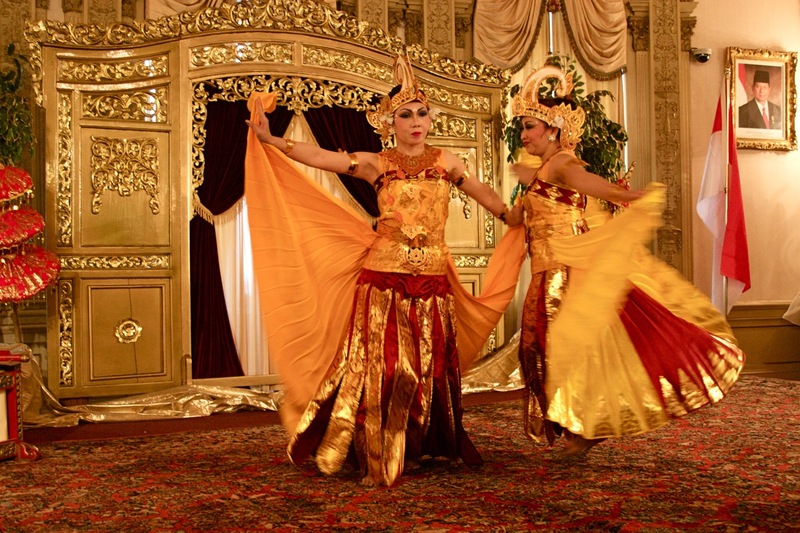 In the first section we dance with veils (fixed like Indonesian sashes to the small of the back) and Isis wings. In the second section the Isis wings take centre stage with various poses, inspired by the Adasha dancers I posted in the Mata Hari Wings entry. In the third section the music takes on a folkloric flavour and the choreography takes on a Reda like feel. 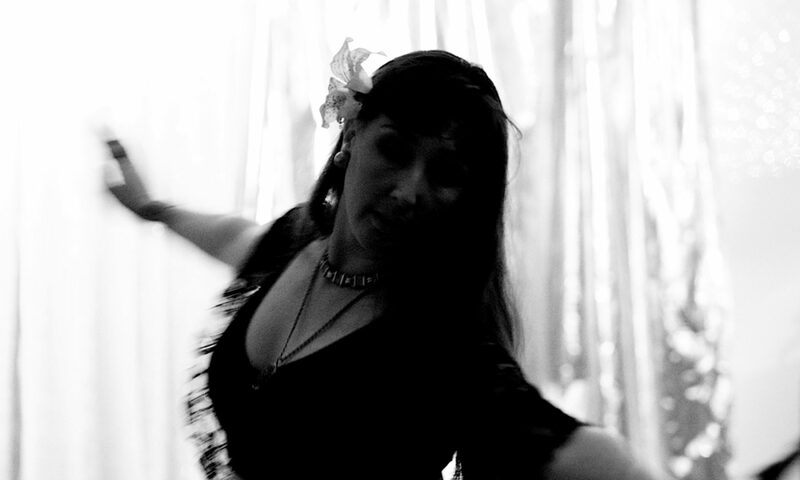 The fourth section is the entry of the peacock, inspired by the footage of Miriam Peretz posted at the end of the Mata Hari Wings entry. In my vivid imagination, I see it being as majestic as the picture above… the peacock with her entourage of beautiful dancers, tending to her peacock wings like a bridal train ;). I also really love those hair dos! The final section is the outro, where all dancers dance together and say adieu to the audience.